Lykke Friis was born in 1969. In 1992, she became Master of Science in European Studies from the London School of Economics and Political Science. The following year, she graduated from the University of Copenhagen as Master of Political Science. In 1997, she received her PhD in International Politics from the University of Copenhagen. Today, she lives in Frederiksberg, Copenhagen with her spouse, Peter. Lykke has once before been Prorector at the University of Copenhagen and held the position from 2006 and until she was appointed Minister of Climate and Energy in november 2009-2011 and from 2010 as well Minister for Gender Equality. Lykke was member of the Danish Parliament (Folketinget) from 2011-2013. 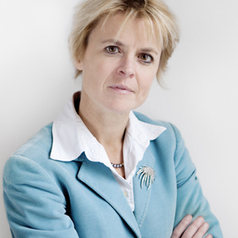 Earlier in her career she has held the position as Head of European Affairs at the Confederation of Danish Industries. Prior to that, she held positions at the Danish Institute of International Affairs as Head of Research, at the European Parliament as holder of a Robert Schuman Scholarship and at the Danish Ministry of Business Affairs. Lykke has studied and worked with EU and European affairs for many years. She has published scientific articles and often gives lectures on the subject or participates in panel debates at conferences or the like. She has taught International and European affairs, both at the Faculty of Social Sciences at the University of Copenhagen and at Copenhagen Business School. Moreover, she frequently publishes articles on the development of Europe and the EU in various Danish newspapers. She is a frequent guest in Danish television as an expert on European affairs - and on football. In 2008 Lykke was appointed as member of the EU Reflection Group established by the European Council. Lykke has gained management expirience as Prorector as well as through her position as Minister. Ealier she was head of European Politics at the Confederation of Danish Industries (DI) where she was in charge of coordinating DI’s European policies. In her job as Head of Research at the Danish Institute of International Affairs, Lykke coordinated part of the research work at the institute, while also publishing scientific articles herself.